Here’s my entry to our video editing competition. Haha. I love Palawan and how Taku gigils and likes the fishes cause their nose is better than mine. Mean! Well, I like how Taku composed his video but mine was reblogged by Club Paradise (the island resort we’ve been) so I think I won. LOL. I got my sanity back! Palawan is very beautiful and this amazing experience made me say what everybody’s saying, “It’s more fun in the Philippines!” (The Dept. of Tourism’s tagline is really working, huh?) 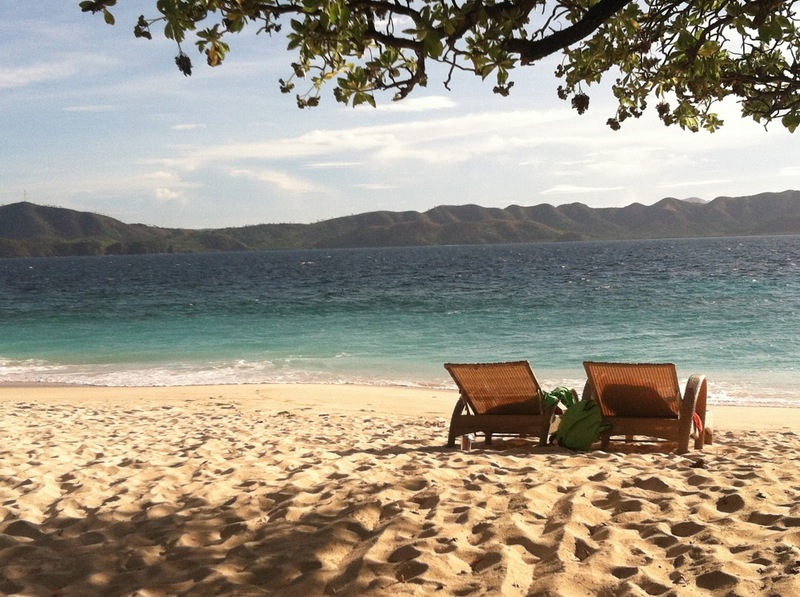 When I first visited Coron, I stayed in El Rio y Mar and that was a very amazing and serene escape for me but this time, we stayed in their sister resort, Club Paradise, which exceeded our expectations. You may opt to have a tranquil escape from the city (since they just have TV and wifi in their clubhouse) in this island or try out the unlimited things and trips that they offer. But the part that I enjoyed the most was the intimate moment with the sun, waves, a pen and my notebook, a good book and Amoretto Sour. Plus we met a wonderful couple who were in their honeymoon (It was really nice meeting you Irene & Raine!). Enjoy the sun and the sand this summer!